This promises to be a great weekends biking on the continent and a real chance to get away from the hustle and bustle of the UK. The route takes us through some very pleasant French countryside and charming French villages and towns (with the odd coffee stop!) as we simply enjoy life on our bikes! We shall spend some time beside the coast, and some time inland. We depart from Boulogne, before a weekend of good food, plenty of laughs, and around 170km of cycling—two good days on our trusty steeds—but still with enough time for a good meal on Saturday night and a few glasses of ‘Vin-Rouge’. Our first day's ride will be down the coastal side - meeting the sea at several points, en route to Abbeville. On our return, we shall head inland, both days are around 85km. 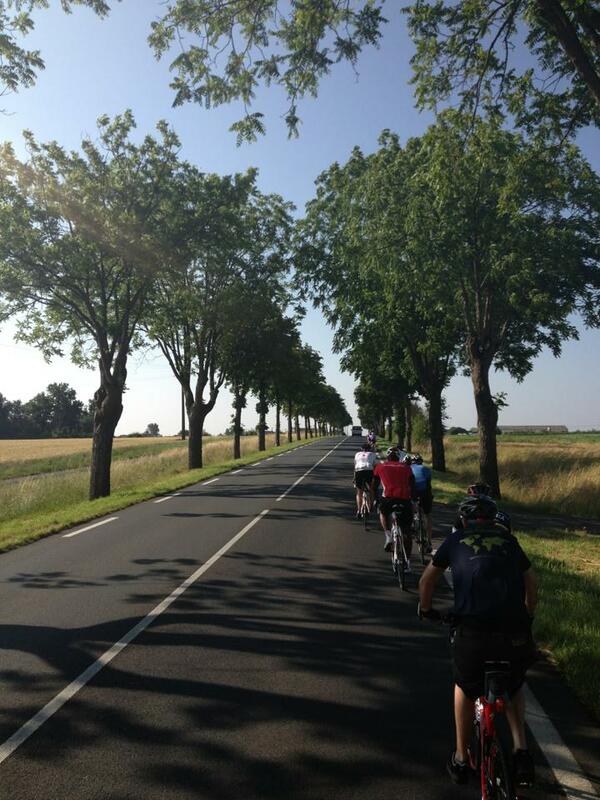 For this challenge ride, cars will come over to Boulogne with us - but will stay there. The ride will be accompanied by a leader - who will bring full tools and spares in his panniers - but will not use a support vehicle. You will need to bring a VERY minimal set of gear with you for the weekend - which you may either carry in a small rucsac or in a pannier on a rack. This weekend is a good chance to check your fitness for a longer trip on 2 wheels. Also a chance to get together with previous trip participants, or to speak with more experienced bike adventurers! Day 1 - Meet Dover 15:30 latest. Ferry crossing—approx 17:00—Please note we shall be driving on to the ferry (you will be asked whether you wish to bring your car with you) - cars will then remain in Boulogne for the weekend. Approx 19:00 - check into hotel , dinner in old town of Boulogne. Ride of approximately 85km - following the coast south to Abbeville via Etaples and Berck. Will be in a simple hotel on both nights. You will be sharing in twins or triples. If you require a single room then please request this at time of booking (a small supplement will be payable). By nature all activities contain an element of risk.Your leader will be first aid qualified and will carry the appropriate safety kit for the activity, such as mountain safety shelters, walking rope and from time to time mobile radios. Safety equipment carried will be appropriate to trip. The leader's primary role is to ensure your safety, but it is your responsibility to listen to their guidance and instructions. If we encounter an emergency situation it may under extreme circumstances be possible to use the Adventure Café van at the end of the weekend - but this will be a matter of very last resort. Expect it to be chilly— (maybe a little rain) - but usually at this time of year we expect crisp clear sunny days. If we prepare for all conditions then we may be pleasantly surprised! Hat and gloves are essential for this trip! Warm tracksuit trousers are recommended.